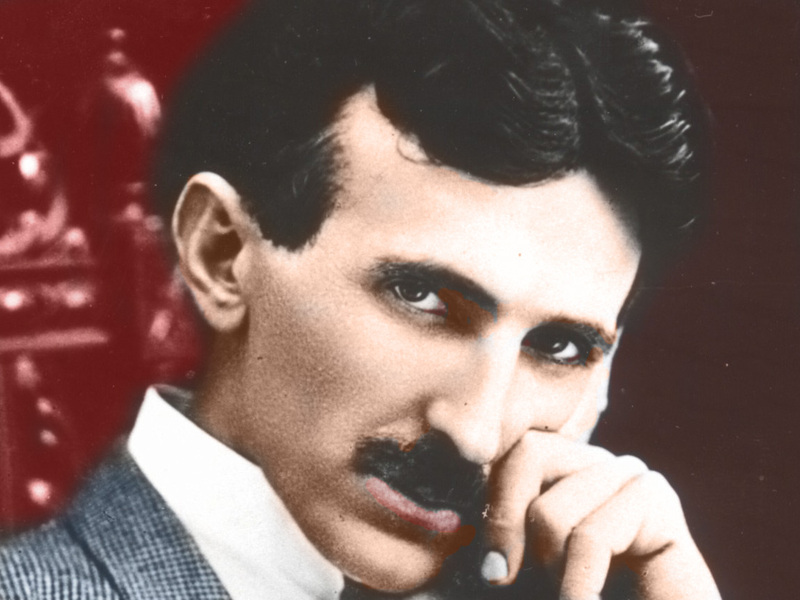 July 10, 1856 - Nikola Tesla was born in Vojna Krajina, which is now part of Croatia. Tesla was probably the greatest inventor, scientist and electrical engineer of his day, if not of all time, though because he was a decent, honest and eccentric fellow, I regret most people hardly even know of him. But you can thank Tesla every time you plug something into your wall socket, turn on a radio, and use a little electricity. You can learn more about his life at the Tesla Society, Wikipedia, or of course, Google. Yeah - you know Tesla has coils, but did you know Tesla also has a cool car named after him? Or, that LikeTelevision named their first server after Tesla? To honor our hero today on his birthday - we thought we'd highlight some cool videos that were inspired by Nikola Tesla's genius. First - check out a few classic Superman episodes - Electronic Earthquake and Magnetic Telescope. Both these terrific cartoons feature some mondo electronic gear inspired by Tesla's ideas. For a vintage look at some Tesla Coils - you can check out Fritz Lang's Metropolis, or the hilarious old serial called the Lost City. If you asked most people in the US - who gave us electricity?, most would answer Thomas Edison. In truth - Edison almost killed it for all of us. Of course it took a lot of people to make it happen, but if you had to credit just one guy, that man would most surely be - Nikola Tesla. Happy Birthday Mr. Tesla! !